The Sioux City Marina sits on the North Shore of the Missouri River with 225 slips accommodating boats ranging in size up to 40 feet in length. The Marina sits adjacent to the Hilton Garden Inn-Sioux City Riverfront and Jolly Rogers outdoor riverside bar and CRAVE American Kitchen and Sushi Bar within the hotel is just a short walk from the docks. Our fuel dock offers gasoline, potable water, ice, beverages and snacks. There is also a free waste pump-out station. Other amenities include shore power 30A, restrooms and convenience items. Click here to see a full list of amenities. 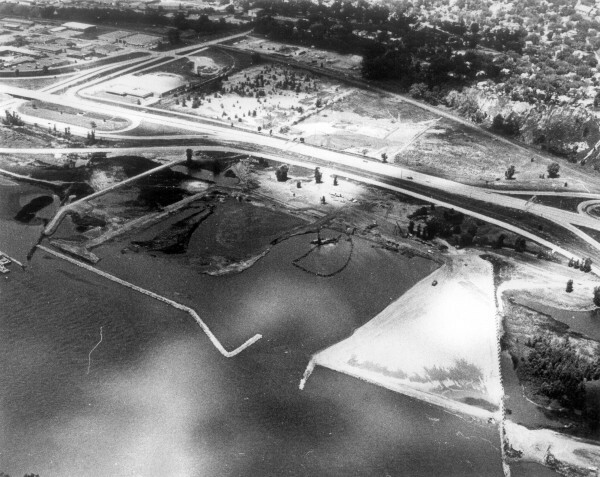 The harbor of the Sioux City marina, which lies on a tract of land between the Isabella Street exit on Interstate 29 and the Combination Bridge, was completed in the fall of 1969. The City of Sioux City then had the responsibility of operating, maintaining and developing the marina which has a capacity for 450 boats. MlrTym Landing opened in 2004, offering conveniently located docks for boats from 10-40 feet. In 2016, Hegg Companies purchased the marina as part of a larger acquisition including the Hilton Garden Inn-Sioux City and Jolly Rogers, and took over management of the newly named Sioux City Marina.